When you're working in the marine industry, your equipment can take a beating. Against water, salt, and rugged weather, your marine hardware should hold up. Make sure you’re prepared for anything by stocking up on high-quality items. Supplies here include stainless-steel fittings, fasteners, latches, buckles, bolts, and more. Try our ultra-secure DOT® fasteners (used by manufacturers of boat covers) or Q-Snap® fasteners, which are resistant to seawater. Or choose from our wide variety of stainless steel hardware. 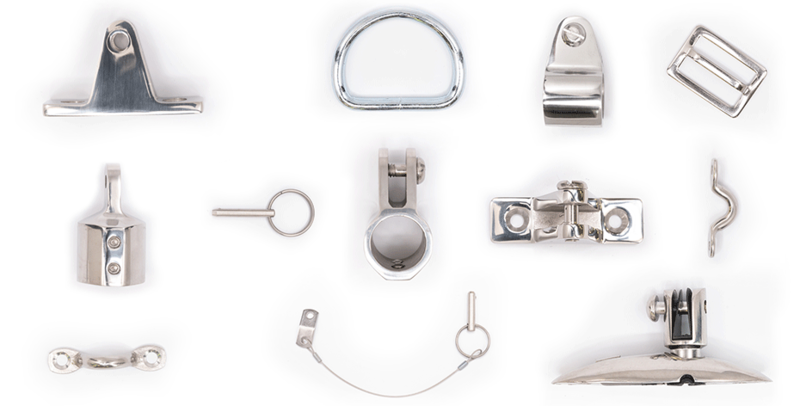 Our supply of marine hardware includes everything from marine zippers to seaworthy grommets. Snag them now so your clients will be ready for whatever Mother Nature sends their way. Set Screw #88338 Stainless Steel Type 316 1/4-28 x 3/16"